The Two Series is Back! The heritage of the new Sinn 206 St Ar can be traced back to the classic Sinn 203 models. But even though it is historically linked to the Sinn 203 Series, this new watch is a modern rendition of Sinn's traditional diving chronograph and is an all new production in an all new case design. 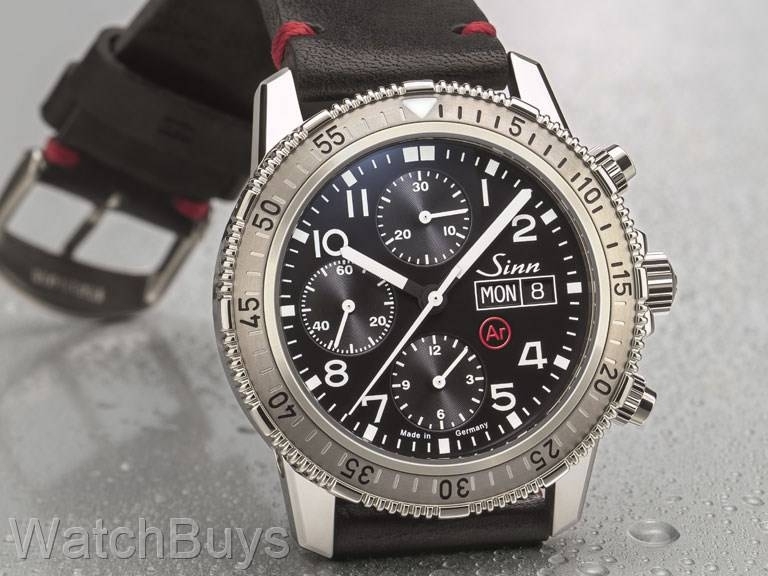 The new Sinn 206 St Ar differs from the original Sinn 203 St, hence the new model name. The first difference is case size - the Sinn 206 St Ar features a larger 43 mm case and a transparent sapphire case back. Sinn also enhanced the functional reliability of this watch and eliminated fogging by installing their Dehumidifying Technology. This technology consists of a copper sulphate capsule and inert gas which together reduce inside case humidity and protect the movement oils. While the original Sinn 203 Series used screw down chronograph pushers to enhance water resistance, Sinn's D3 System maintains a water resistance of 300 meters without the need for screw down pushers. Also, because of the Sinn D3 System, the chronograph may be operated underwater. The result is an easier to use chronograph on the Sinn 206 St Ar as the pushers are always ready to operate. To remain as true as possible to the original design of the Sinn 203 St, the pusher housings retain the screw down push piece look. The Sinn 206 St Ar also features an electroplated black dial, which gives the watch a mechanical and instrumentation look. This watch features a vintage style black calf leather strap with red stitching and a Sinn tang buckle. 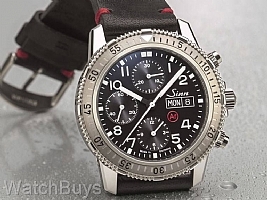 How Can I Purchase This Watch? This watch was just introduced at the BaselWorld 2019 Watch Fair. We are now accepting reservations for this watch which are expected to start shipping at the end of June. If you'd like to place a reservation or to learn more about the process, please click here.